Today I’m delighted to welcome two extraordinary picture book experts to our blog — Cathy Potter and Louise Capizzo. Cathy and Louise are the founders of The Nonfiction Detectives, an inspired blog where they discuss the best in children’s nonfiction books. I’ve enjoyed their blog for years, and I’m sure many of you have too! The tagline on Cathy and Louise’s blog reads: “Two intrepid librarians review the best nonfiction books for children.” But if you ask me, they’re much more than “intrepid librarians.” When it comes to children’s literature, these two books buffs are extremely experienced and fearlessly forging ahead. Cathy was a classroom teacher before becoming a middle school librarian in 2007. She holds two master’s degrees, one in Literacy Education and another in Library Science. She has served on the Sibert and Newbery Award committees, and chaired numerous committees such as the book apps panel for the CYBILS awards, the Chickadee Award and AASL’s Best Apps for Teaching and Learning committee. And that’s not all — Cathy also reviews apps for School Library Journal. 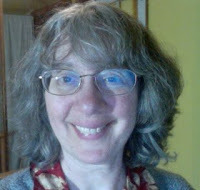 Louise holds a Master of Library Science degree and works as the Youth Services Manager at a public library in Maine. She has served on many awards committees such as the Sibert, Newbery, Batchelder, and Maine Student Book Award to name a few. 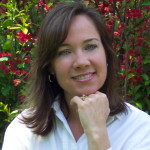 Louise has acted as judge for middle grade and young adult nonfiction submissions for the CYBILS awards for several years, has written reviews for Publisher’s Weekly, Kirkus Reviews, and much more! I’m very excited Cathy and Louise have graciously taken time from their busy schedules to answer a few questions and share their expertise on my favorite topic — nonfiction children’s book. So let’s get started! You both have such impressive resumes — librarian experiences, Masters degrees, served on many book award committees, etc. How did the two of you decide to join forces to create your wonderful blog, The Nonfiction Detectives? Louise: It just so happened that Cathy and I used to work in the same community. She at the school library, me at the public library. From our first meeting, we seemed to hit it off. It’s as if there was this synergy that had us feeding off each other’s enthusiasm for books, reading, and finding innovative ways to connect all that energy with students. We had a great time working together. Our community was electric with students hungry to eat, sleep, think, and talk about books. It was awesome. Then, I took a job in another community several towns away. When you’ve worked so well with someone and then you lose that connection, well, we kept chatting to see if there was any way we could continue to partner on projects even though we were in different districts. About four months after I started my new job, Cathy and I went to the annual state literature conference. One of the sessions I attended talked about the difference between reviews in professional journals versus those written by bloggers. Remember, back in 2011, blogging, especially book reviews, was still relatively new. It was a very good session. Anyway, in closing, the speaker casually mentioned that most bloggers review fiction…and the light bulb clicked. On our ride home we came up with the idea to start a blog that reviewed only nonfiction. Our first post went live about 2 weeks later. We’ve been posting at least once a week ever since. April 2018, we will celebrate our 7th year. What are some of the elements/attributes which you feel make for an outstanding nonfiction picture book? Louise: The illustrations should be well-captioned and placed on the same page where the information is being discussed. Is there an author’s note that offers more detailed information about the subject? Is there a glossary for words students may not know? Are there source notes or at least a bibliography of titles the author used when researching the topic? Books with sidebars of additional information should not detract from the flow of the narrative. Cathy: Supporting illustrations, photos, maps, and graphics are really important in nonfiction. I look at where these elements are placed on the page so that they enhance the information and don’t interrupt the flow of the text. If quotes are used there need to be source notes in the back matter. If I don’t see source notes, the dialogue may be invented, which poses problems in informational texts. I also look for the style and structure of writing and if it fits with the information presented and the intended audience. 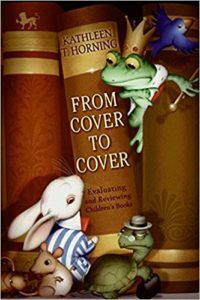 Nonfiction author, Melissa Stewart, writes and speaks quite a bit about different nonfiction styles and structures that authors employ in texts for children. I highly suggest visiting Melissa’s blog to check out her articles about the structure of nonfiction texts. 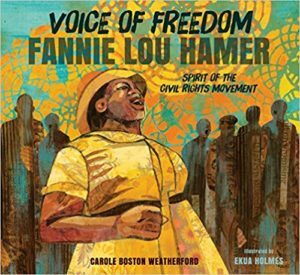 What some recent nonfiction picture books that really hit it out of the park for you? Louise: Do I have a word limit with this one? 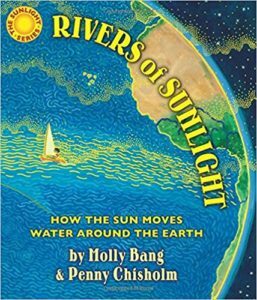 Any of Molly Bang’s books in her “Sunlight” series. Voice of Freedom: Fannie Lou Hammer by Carol Boston, Trombone Shorty by Troy “Trombone Shorty” Andrews, Creekfinding by Jacqueline Briggs Martin, The Hidden Life of a Toad by Doug Wechsier, If Sharks Disappeared by Lily Williams, Margaret and the Moon by Dean Robbins, Maya Lin by Jeanne Walker Harvey, Muddy by Michael Mahin, The Quest for Z by Greg Pizzoli, Schomburg by Carole Boston, The World Is Not a Rectangle by Jeanette Winter, Giant Squid by Candace Fleming. 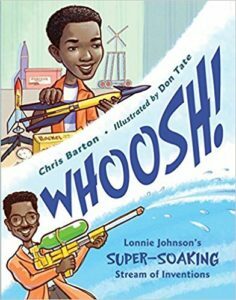 What advice do you have for aspiring nonfiction picture book writers? Louise: Go to your local public library and read every nonfiction picture book that is in their collection. At the same time, make friends with the Youth Services librarian and pick his or her brain on titles they like and why. 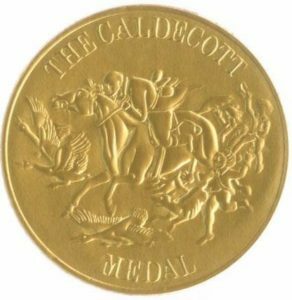 Be sure to read award-winning titles, those that have won Newbery, Caldecott, or the Robert F. Sibert medal. Read professional reviews, too. The more you read, the more you will learn what key elements are essential to making a book good. Cathy: I echo what Louise said. 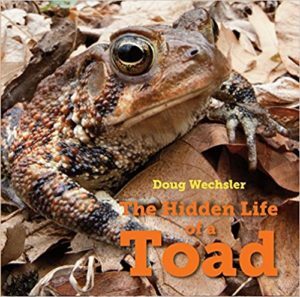 Read a lot of children’s nonfiction written in different formats, styles, and structures. Know your audience. What is your target age? Think about the best way to present the information to child readers. Have an expert in the field read over your manuscript to check for errors. Share your research process with readers in the author’s note or in the back matter. Don’t invent dialogue. Only include quotations if you have source notes to back them up. Thank you, thank you Cathy and Louise for sharing your fascinating insights! I look forward to keeping up with the latest in children’s nonfiction on your terrific blog. Before She Was Harriet, Candace Fleming, Carol Boston, Carole Boston, Cathy Potter, Chris Barton, Creekfinding, Dean Robbins, Don Tate, Doug Wechsier, Duncan Tonatiuh, Eric Rohmann, From Cover to Cover: Evaluating and Reviewing Children’s Books, Funny Bones: Posada and His Day of the Dead Calaveras, Giant Squid, Grand Canyon, How to be an Elephant, If Sharks Disappeared, Jacqueline Briggs Martin, James Ransome, jason Chin, jeanette winter, Jeanne Walker Harvey, Katherine Roy, Kathleen. T. Horning, Lesa Cline-Ransome, Lily Williams, Louise Capizzo, Margaret and the Moon, Maya Lin, Melissa Stewart, Michael Mahin, Muddy, Nicole Wong, No Chocolate, No Monkeys, Schomburg, The Hidden Life of a Toad, The Nonfiction Detectives, The Quest for Z by Greg Pizzoli, The World Is Not a Rectangle, Trombone Shorty, Troy “Trombone Shorty” Andrews, Voice of Freedom: Fannie Lou Hammer, Whoosh: Lonnie Johnson’s Super-Soaking Stream of Inventions. Bookmark. Fascinating! What a great partnership to nurture-for the benefit of all of us! Thank you! I need to find some nonfiction to read! Yes, I’m so glad Louise and Cathy joined forces to create this fantastic blog. Such a wonderful resource! Thanks for sharing this article! I learned a lot. Librarians are superheroes! You’re so right Jennifer. Librarians are the most powerful superheroes of them all. They should be in the next Hollywood superhero blockbuster movie! My Favorite people are called Librarians! Thank you for the great information! Thanks for stopping in Terri! Librarians are super great, aren’t’ they? 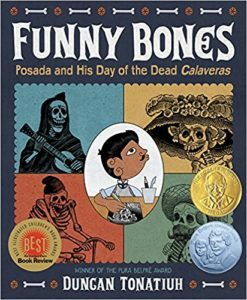 The Nonfiction Detectives blog is one I, too, recommend to all writers of nonfiction. Thank you for introducing me to the *faces* behind an outstanding resource for kid lit writers. Louise and Cathy are appreciated, as are you Suzanne. Glad you enjoyed the post Suzy. Yes, Louise and Cathy are rock stars! Thanks for sharing the non-fiction links. 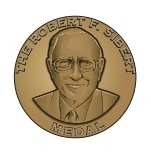 My favorite non-fiction is: Sea Otter Heroes, The Predators that Saved an Ecosystem, which just took the Seibert Award. The way she laid out the book made it super easy to read, understand and get excited about. Plus she made it perfect for school use. Thanks for sharing your nf favorite. I haven’t read it yet, but now I definitely will! Thx! I love this blog and read it every time. Getting ready to share it with a local university professor who teaches a children’s literature class for future teachers! What a great idea Janet! You are so thoughtful to share this resource with this professor. Thanks for sharing your great idea! Thanks for the great interview, Suzanne. And thanks to Cathy and Louise for the insights and book recommendations! Cathy and Louise rock! I really get a lot of great info. from their blog. This is a very resourceful post. Thank you! Glad you found the post helpful Kathy. And thanks for being such a loyal visitor to PBB! I’m happy to hear you found the info. in the post helpful Quinette. And thanks for taking the time to leave a comment. Great post, Suzanne! Thanks for sharing! Glad you enjoyed the post Jennifer. Thanks YOU for stopping by! I appreciate you visiting us Sharon, and thanks for letting me know you enjoyed the post. The Nonfiction Detectives are such a great resource. Your blog always delivers an important perspective on nonfiction and is my go-to for new titles. I’ve bookmarked this post in particular to share with aspiring NF authors. Thanks for continuing and elevating the NF conversation!! Great interview, Suzanne! Really enjoy their blog. Great interview, Suzanne. I’m definitely checking out Cathy and Louise’s blog. 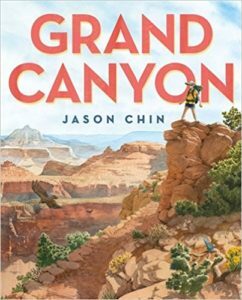 I love non-fiction picture books and was pleased to see many of my favorites listed among theirs.